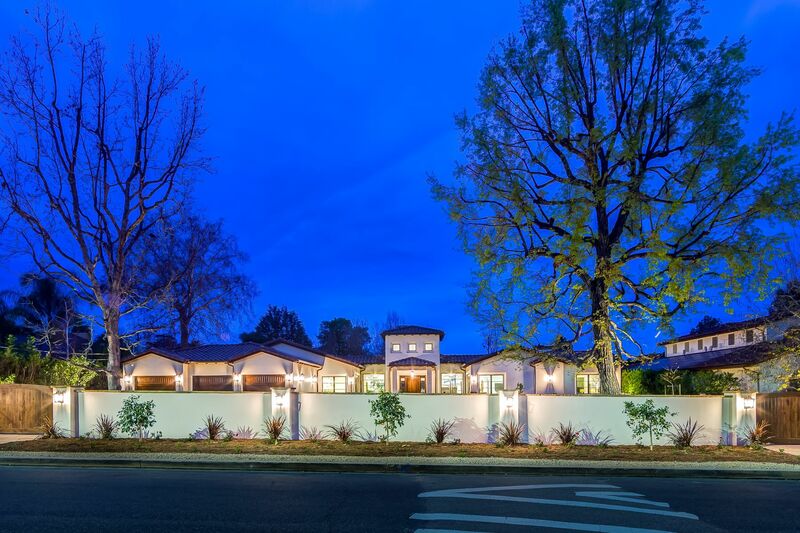 SOLD Behind the gates of this sprawling estate rest the blend of Mediterranean architecture with a contemporary feeling. The kitchen is fit for the most discriminating chef featuring: two islands, marble counters, Viking apliances-6 burner stove, 4 ovens. 36" refrigerator and 36" freezer, walk-in pantry. The refrigerated 360 bottle wine room opens to a spacious formal dining room. The master retreat features a sitting room, fireplace, 2 walk in closets, spa feeling bathroom, overlooking the grand parklike grounds.